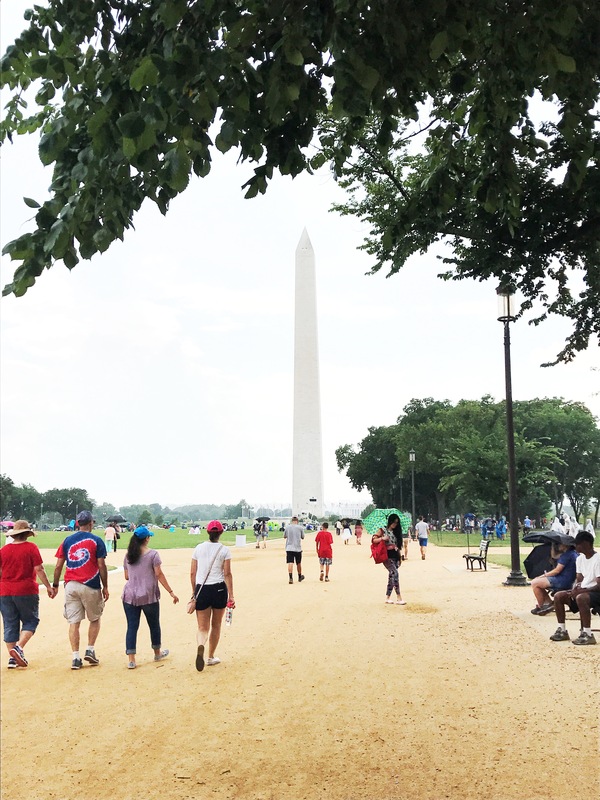 This week I spent my first 4th of July in my new city, Washington D.C! In the midst of the craziness that is student teaching, and taking 9 hours of credit, I was excited to have a day off to see a little more of the city. Some new friends and I made plans for the afternoon but intentionally left the morning open so we could just chill. I used that free time to lay in bed and watch West Wing (#patriotic). 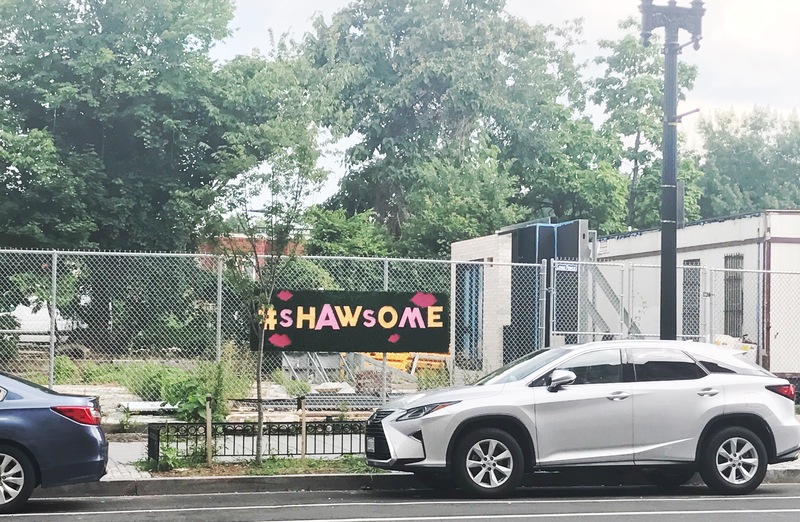 Around noon, we took a lyft to the Shaw neighborhood, where we stopped at the Dacha Beer Garden. It was a cute patio situation, and they were v prepared for the heat with their fans that also sprayed mist. 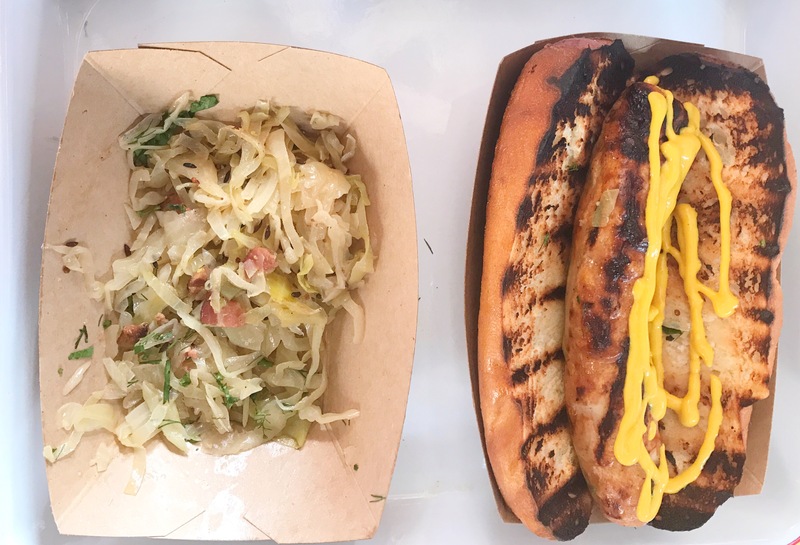 We stayed there long enough to need food so I ordered a spicy brat, that came in an amazing toasted bun. After sitting there chatting and eating for a good 3 hours we decided to leave, just before it got unbearable packed. Next stop: The National Mall! The walk from Shaw to the National Mall takes a good 30 minutes and honestly, we don’t get out much, so it was nice to take our time and see different parts of the city. We pointed out every coffee shop in sight, took selfies, and just enjoyed each others company, so you could probably get there faster if you wanted #shrugs. 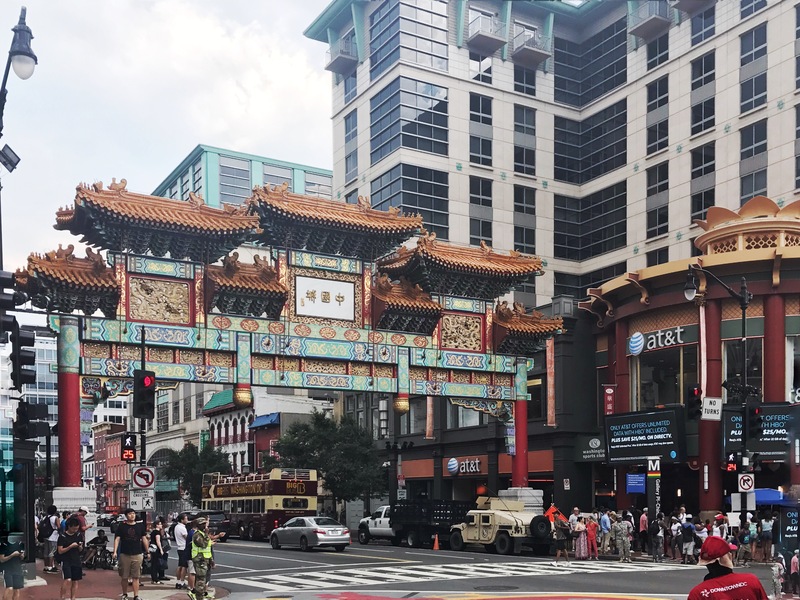 We walked past Chinatown and the big arch! And eventually made it to the National Mall! Of course, after a few selfies it started raining. So we took cover under a rather large tree while we created a game plan for the rest of the evening. I decided to take the metro home because unfortunately it was not the weekend and I still needed to review the lesson plan for my first day of solo teaching! By the time I got back home and had dinner, the fireworks had commenced and I was able to see and hear them from my room. It was the perfect soundtrack to the rest of my night! D.C peeps, I’m all ears for new places I should visit! Let me know if you have any recommendations!